Still not home from market but will finish Board duties tomorrow and head home. It has been an exciting weekend. 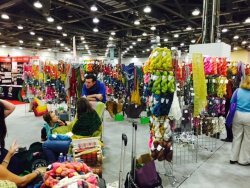 Lots of wonderful yarn, accessories, and models. Angel and I are inspired & ready to create. Here are just a few of the many wonderful things we found inspiring. 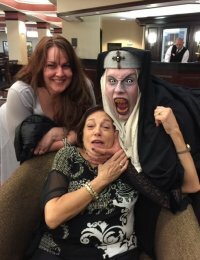 I will share a few each blast and add some to Facebook, too! 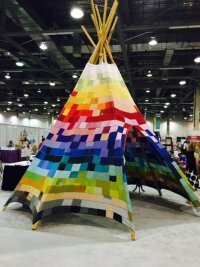 Skacel, the Addi Needle & Hikoo Yarn distributor had a great teepee made of knitted squares. 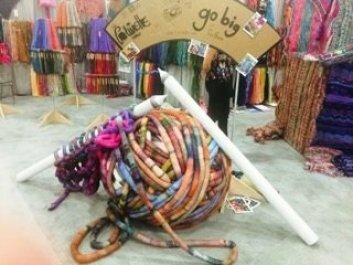 Colinette created a very BIG BALL OF YARN: Go Big or GO HOME! 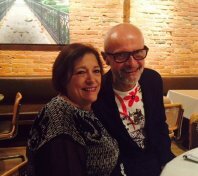 Enjoyed a wonderful dinner with the folks at Rowan including Martin Storey. Martin is so fun and he hinted that we might get another Knit-Along with him soon. 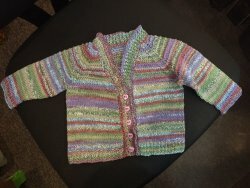 I let Kate, Rowan's director know that we loved his first blanket knit-along. Angel got a fabulous video of the new Swarovski crystals coming soon. Check it out on our Facebook page. 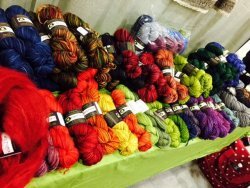 Anzula had a fabulous booth full of wonderful yarns..YES we ordered LOTS and brought some home, too! 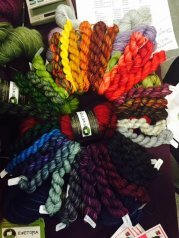 They introduced 5 new colors and a great new fiber mix of 50 Merino & 50 Tussah Silk. 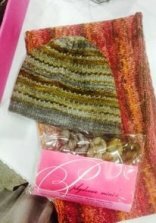 The yarn has great drape and sheen. 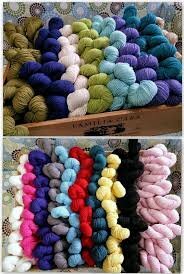 We ordered "It Could Be Worsted" in a full array of colors to arrive as soon as dyed. We will have samples for you to touch by the end of the week. 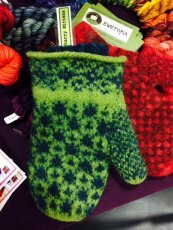 New yarn, pattern and kits for mittens, too. I will add more market finds next week and on Facebook, TOO! Stop in to the shop and Angel and I will be glad to share our finds! So excited to be inspired! 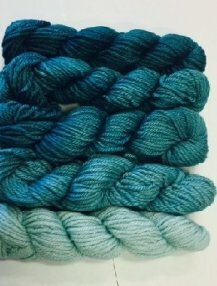 Only 3 skeins! 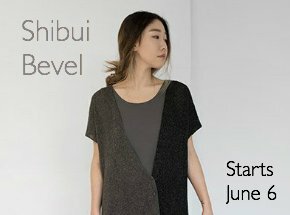 Pattern Free with Kimera purchase. 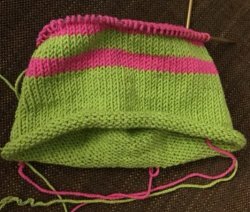 A hat on my needles. 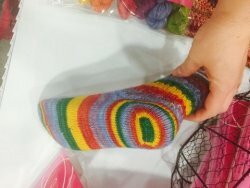 Creating some cute toddler and child hats in the new HiKoo Cabasi DK..
Mark Your Calendar & Grab your Needles. Each month is something new for YOU. 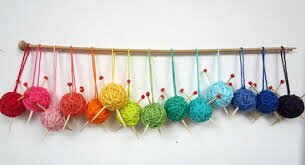 Our summer knitting camp includes both skills and fun! AND it's FREE. Camps are on SUNDAY afternoons from 2-4 pm. The only catch is that your supplies must come from Amazing Threads. 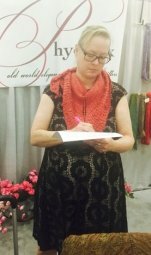 Michelle is knitting Aethercopter in Sublime Cotton Silk - great knit& drape! 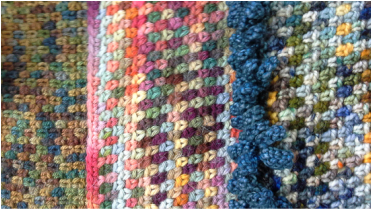 Join Deb for WIPS on June 14: Finish a project or start something new! 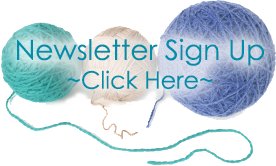 Plymouth Yarn Co has a great many free patterns to support their yarns. 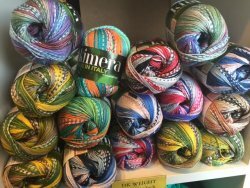 We carry some of their fabulous yarns. 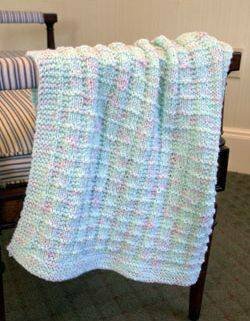 Grab a cute and easy baby blanket pattern and a few skeins and knit a blanket that will become a favorite "blankie."